What better way to kick the picnic season off than with these absolutely delicious pies! Easy to make and perfect for food on the go. Definitely one to try! 2. Cut the chicken breasts into 1 cm cubes, place in a bowl season with salt, pepper and mace. Set aside. 3. Grease 8 holes of the muffin tray with the butter. Roll out two thirds of the pastry on a lightly floured surface and stamp out 12 x 10cm circles (you may need to re-roll trimmings). Press a circle into each hole to line. 4. Add a heaped teaspoon of Mr Crumb Stuffing into each pie and press, cover with a layer of chicken and top with another layer of Mr Crumb stuffing, packing in firmly and shaping to a dome in the middle. 5. Roll out the remaining pastry and stamp out 12 x 7cm circles. Brush with a little egg and add a top to each pie, egg-side down to stick, carefully pressing pastry edges together to seal. Brush with more egg (don’t throw away leftover egg). 6. Bake for 30 minutes until golden then carefully remove the pies from the tin. Sit on a parchment lined baking tray, brush all around the sides with more egg and put back in the oven for 8 minutes. Cool completely, enjoy! 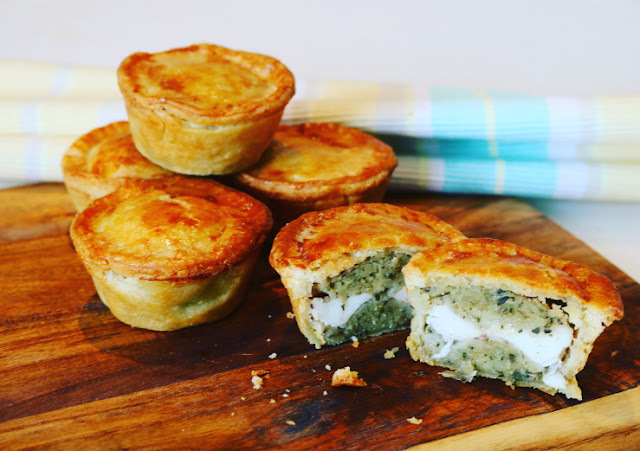 · Cool the Picnic Pies to chill temperatures (less than 4oC) within 90 minutes after cooking, keep refrigerated and use within 24hours. Mr. Crumb is an artisan food producer located in the small rural village of Finea, County Westmeath in Irelands luscious green lakelands. 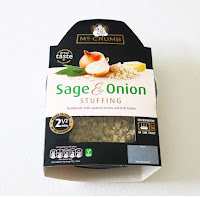 A family run business, started back in 1996 and famous for their internationally award winning stuffing. The stuffings are cooked by hand in small batches using Irish butter from grass fed cows.